Search Engine Optimization (SEO) is the most effective technique for attracting relevant and high volume traffic from search engines. Ranking on the first page of Google for competitive keywords in your niche, can open floodgates of traffic to your website. However, while optimizing your website, you need to make sure that all your SEO activities are in line with Google’s guidelines and recommendations. Because violating Google’s search engine guidelines can get your website penalized and, in extreme cases, de-indexed from its search results. Thankfully, staying away from a Google penalty, and still rank highly in search results, is much easier than you think. If you want to stay away from Google penalties, never use duplicate or copied content on your website or blog. Because duplicate content will get you immediately in trouble with Google’s algorithms. Creating original and high value content is the best way to not only attract regular search engine traffic, but also to stay in Google’s good books. However, creating great content requires time and effort. There’s really no shortcut to it. Make sure every post you write is so comprehensive that your readers don’t not have to read anything else on the topic. Include lots of data references and links to authority websites. Google loves websites that keep adding fresh and high quality content. If your content is original, and your readers find it useful, you’d never have to worry about any Google algorithm changes. Guest blogging is a great way to build authority in your niche, establish your brand image and create social proof for your products and services. However, it is not a great way to build backlinks to your website. Over the last few years, guest blogging has become increasingly spammy and a source of irrelevant backlinks. That is why Google has come hard at any blogs or websites that use guest blogging purely for link building. But guest blogging isn’t entirely dead. You just need to be a lot more careful while doing it. To be more specific, you need to do the following. Make sure you never guest blog on websites that are completely irrelevant to your niche. For example, if your blog is in the health and fitness niche, you should not guest blogs in the finance or real estate niches. Make sure that the backlinks from your guest posts do not make up more than 20 to 25% of your overall link profile. Do not use author bio links since Google doesn’t give them much value. Instead, try to use contextual links within the content of your guest posts. They are 5 to 10 times more valuable. To be on the safe side, I’d strongly recommend using guest blogging only for branding purposes. Otherwise you’d always be on Google’s radar for the next penalty. Over the last 2-3 years, Google has changed the way it evaluates the value of a backlink. 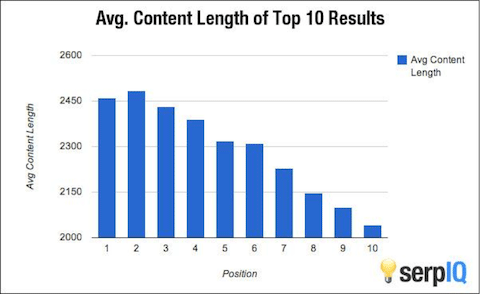 It no longer gives as much importance to PageRank as it once used to. Now, the relevancy of your linking domain and its authority, in terms of social media following and user engagement, is much more important. As such, you can say that relevancy is the new PR. Websites that have lots of backlinks coming from irrelevant websites are flirting with danger, and are most likely to be penalized by Google. In fact, this is precisely what the Google Penguin update did. It punished any website that was involved in spammy back linking and had the majority of its links coming from irrelevant websites. So the next time you plan a backlinking strategy, make sure all your target websites are either within your niche, or strongly related to it. Otherwise you can easily get penalized by Google. If you have a lot of low quality or spammy links pointing to your website, you can get into trouble Google algorithms and can be penalized. To avoid this, you need to regularly monitor and clean up your link profile. You can do that easily from your Google Webmaster Tools dashboard. This will give you the list of all the links pointing to your website and which Google uses to rank you. Download this list every 2 months and remove any spammy or low quality links, using the disavow tool. Until last year, most SEO experts recommended using keyword rich anchor text for your backlinks. This was used as a technique to rank higher on your target keywords. Google now views keyword rich anchor text as a potentially manipulative, and might start penalizing websites using such anchors for their backlinks. Now you need to make your anchor text is more natural. It needs to be in context with the overall content of your page and should fit in naturally. For example, instead of using the keyword “Wordpress ecommerce plugins” repeatedly for all your backlinks, you should use different natural combinations of the same words and their synonyms. Also make sure that a large number of your links have branded anchors that are unique to your website. For example, for this particular blog “TipsAndTrickHQ”, “www.tipsandtricks-hq.com” and “Tips and Tricks HQ” are all branded keywords. The more branded keyword anchors you have, linking to your main page, the more authority your links will have in Google’s eyes. Google wants all website owners to provide excellent user experience to their visitors, and also ranks websites with better UX higher in search results. Since almost 50% of all Google searches now come from smartphones, tablets and other portable devices, Google strongly recommends having a mobile version of your website. Google recently launched a new search engine algorithm update that prioritizes websites with a mobile version or responsive design. So you need to make sure that your website supports mobile visitors. The best way to do that is by using a responsive website design that adjusts its dimensions according to the device it is viewed on. To see if your website is mobile friendly, you can use Google’s mobile friendly test. If you want to make it really hard for Google to penalize you, establish your website as a brand in Google’s eyes. Brands are much more likely to escape search engine penalties, as compared to other websites, even if they have some loopholes in their SEO strategy. And even if they do get penalized, brands are much more likely to recover from a penalty. So how exactly do you tell Google that you’re a brand? Create a professional, well-designed and responsive website. You need to have all the brand elements like a logo, a physical address and a 1-800 number on your contact page. Build your social media following and engage your followers regularly. The more people follow you and engage with you on social media, the stronger your brand image becomes. But make sure you do not manipulate social signals by using fake social media followers. Google can easily detect fake followers and will come hard at you if you’re caught. Create more backlinks with branded anchor text. The more people search for you on Google with your brand name, the better for your brand image. The key to establishing your website as a brand is by building trust on the internet. Google wants to provide highly relevant and top quality search results to its users that answer all of their questions comprehensively. To rank well in Google search results, you just need to play within Google’s recommended guidelines and create in-depth content with the sole purpose of helping your readers. Combine this approach with the other tips that I’ve shared in this post and you’ll never have to worry about Google penalties again. Has your website ever been penalized by Google? Or do you have any other points to add to this list? I’d love to hear your thoughts in the comments. @Danny, it is totally fine if someone else mention your site. what do you mean by guestposting? is it only when I show my author bio? what if it looks like the blog’s owner just commonly mentioned my site? is that okay?